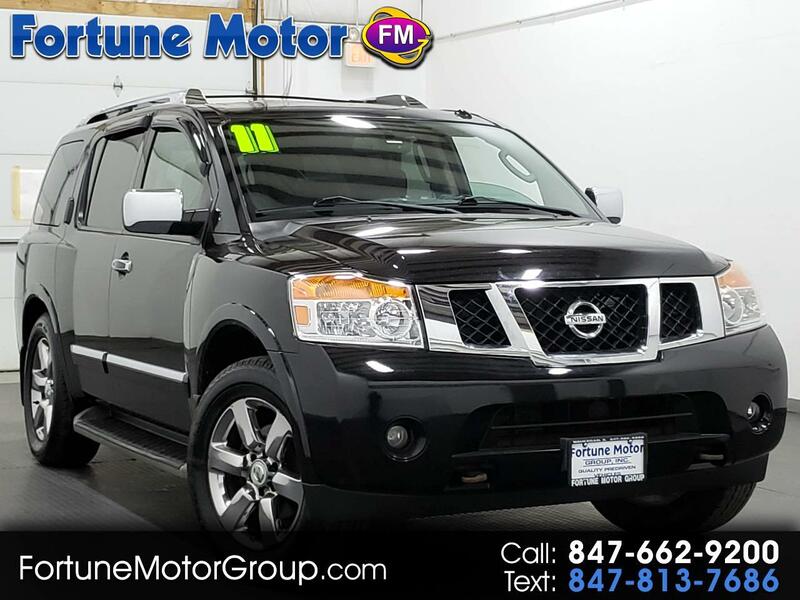 Used 2011 Nissan Armada SL 4WD for Sale in Waukegan IL 60085 Fortune Motor Group Inc.
Best Deals in Midwest! We Finance Good, Bad or No Credit with Low Rates % available apply online at Fortunemotorgroup.com or stop by and see us at 545 S. Green Bay Rd. Waukegan,IL 60085 or call 847-662-9200. We are a Carfax Advantage Dealership! 545 S Green Bay Rd. We Ensure to provide you the best car buying experience possible. Refer a customer and get $125 when they buy a car from us!